Foosball was the game of choice when I used to visit my cousins as a child. All four of them were all soccer obsessed, so they took foosball very seriously. The competition was red hot. There was much spinning and flicking of knobs and of course, swearing. But you won’t have to worry about high-intensity foosball when part of the equipment is stuck to the wall. 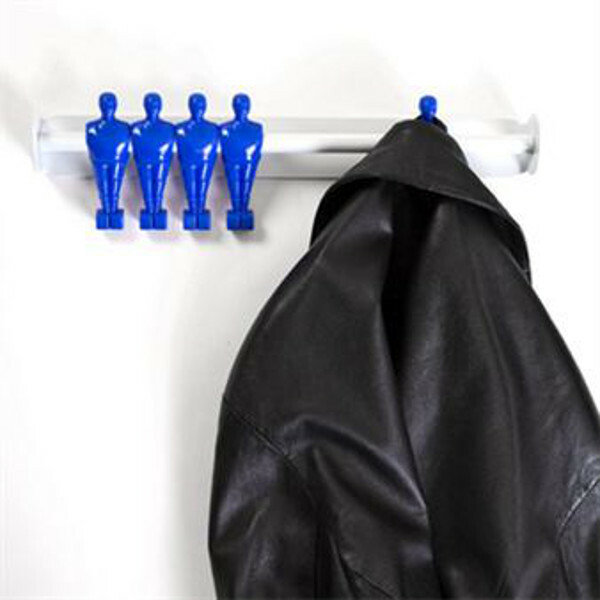 The Offside Coat Rack by Norwegian designers Froystad + Klock is a fun way to hang your coats and bags. The colourful wall-mounted coat rack is not just a stylish room feature, it’s also a practical way of tidying up those bits and pieces you find floating on the floor. 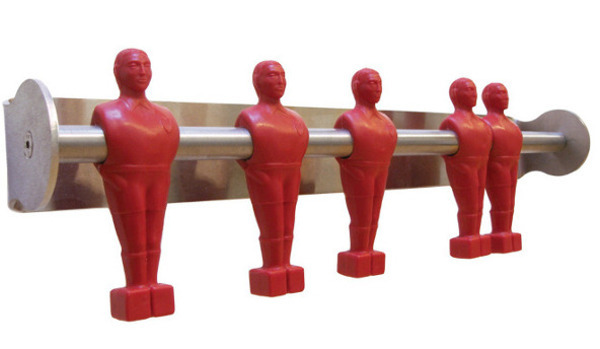 Plus, the foosball players tilt and move sideways to make room for bulkier clothing. Original and quirky, this Scandinavian-style coat rack will suit the hallway, a child’s room or playroom. 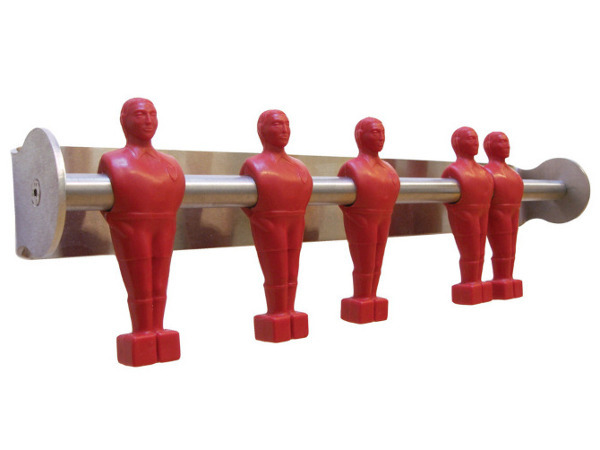 The wall-mounting is made of sturdy stainless steel (chose from white or stainless steel colour), while the foosballers are made from recycled plastic in red, green, blue and yellow players. Offside was designed by Runa Klock in 2006 and exhibited in various furniture and design fairs. Grab one at The Scandinavian Design Centre in Sweden for $63.66. Shipping to Australia costs $36.